Disney’s Hollywood Studios, the third theme park built at the Walt Disney World Resort, officially opened 29 years ago today – on May 1, 1989. Today, the park is in the middle of an exciting multi-year transformation, expanding to add two new lands where guests will become part of their favorite stories and create their own exhilarating adventures: Toy Story Land, which will debut to guests this June 30, and Star Wars: Galaxy’s Edge, which is set to open in 2019. Work is also underway on Mickey & Minnie’s Runaway Railway attraction, our first Mickey-themed ride-through attraction, set to open in 2019. 1. The Chinese Theater – Modeled after the Hollywood landmark, this near replica is a 9/10 scale of the original building. In 2019, the theater will be home to the first attraction dedicated to the mouse himself: Mickey & Minnie’s Runaway Railway. 2. 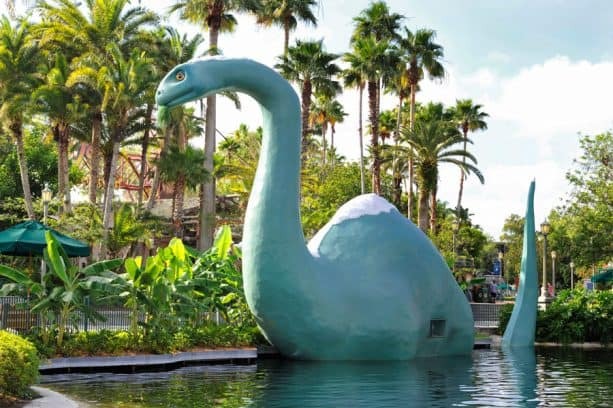 Gertie the Dinosaur – Created by Winsor McCay in 1914, Gertie sprang to life on the vaudeville screen as who many believe was the first animated character to show a distinct personality, paving the way for our own cast of characters – including Mickey Mouse himself. 3. 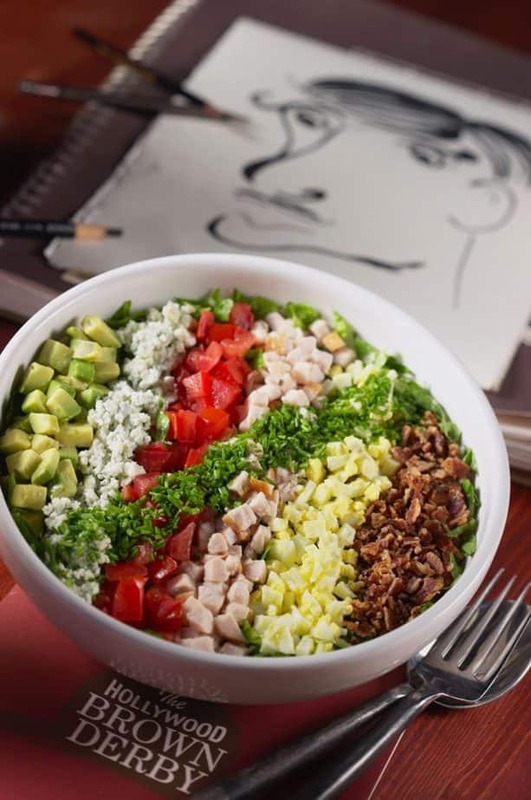 The Hollywood Brown Derby – Inspired by the historic Hollywood locale, this signature dining location features three items from the original menu: the famous cobb salad, grapefruit cake and the Shirley Temple cocktail. 4. Rock ‘n’ Roller Coaster Starring Aerosmith – A 40-foot-tall guitar greets you at the entrance to the first Disney attraction to take guests upside down. Take off from 0 to 60 to the sound of over 900 speakers blasting the music of Aerosmith throughout the attraction. 5. Indiana Jones Epic Stunt Spectacular – Join the 2nd Unit of the “Raiders of the Lost Ark” film crew and experience the thrills of a live set. 6. BaseLine Tap House – Baseline Tap House, which offers “small bites and dreamy flights” was once the Figueroa Printing Company, a mom-and-pop print house that enjoyed great success through the mid- and late-20th century. Look around and you may see some of their work. 7. 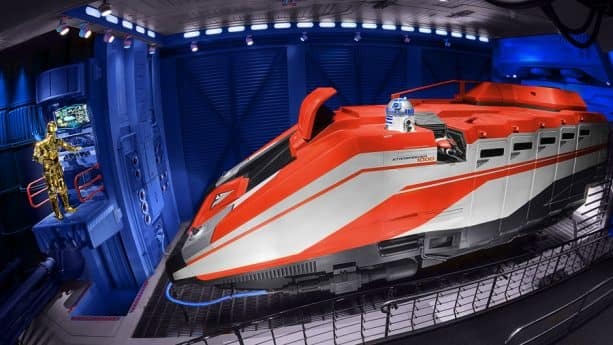 Star Tours – The Adventures Continue – Climb aboard a starspeeder and travel the galaxy! Did you know that in the latest version of this fan-favorite attraction you can find yourself landing on a planet in the outer rim of the galaxy known as Batuu? It’s the planet from the upcoming Star Wars: Galaxy’s Edge! 8. Beauty and the Beast – Live on Stage – This Broadway-style show enchants audiences with a tale as old as time. The show premiered the same day as the animated feature on Nov. 22, 1991 and is the longest-running stage show at a Walt Disney World theme park. 9. 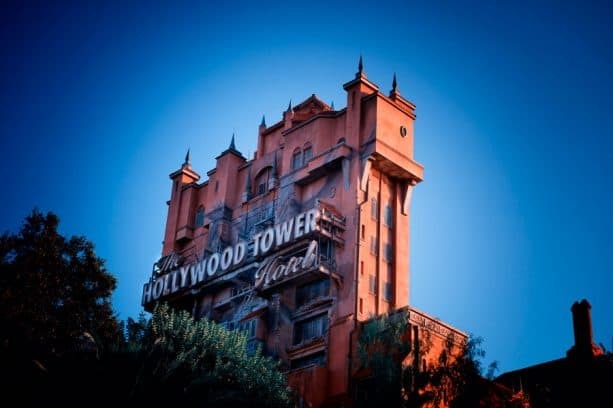 The Twilight Zone Tower of Terror – Hold on tight as you’re transported to the 5th dimension via a most uncommon elevator. Imagineers watched 156 episodes of “The Twilight Zone” in preparation for this iconic attraction. 10. Fantasmic! 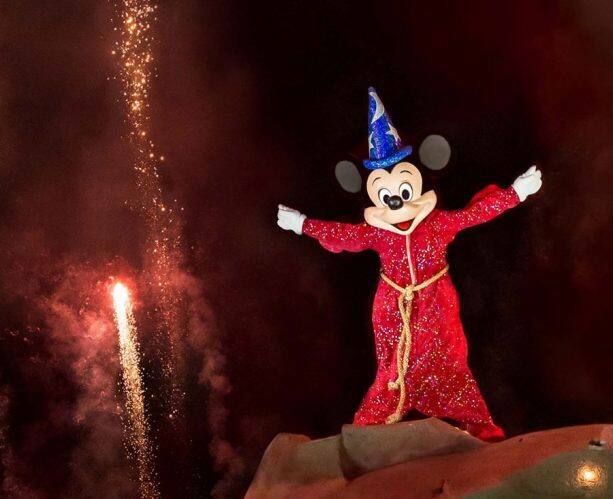 – With over 50 performers, pyrotechnics, laser lights, one million gallons of dancing water, a 40-foot-tall dragon and five costume changes for Mickey Mouse himself, Fantasmic! is the perfect way to end your day celebrating Disney’s Hollywood Studios. Some imagination, huh? What’s your favorite memory of Disney’s Hollywood Studios? Share it with us in the comments section below. I enjoyed all of the rides and shows. I agree with Carol and wish the Great Movie Ride was not removed as this was the anchor of why it is called Hollywood Studios. The other thing I miss is the Disney Animation which was very popular and I hope to see this return. May Launch Bay will relocate to Star Wars Edge? However, I am looking forward to Toy Story Land this summer and Star Wars next year. 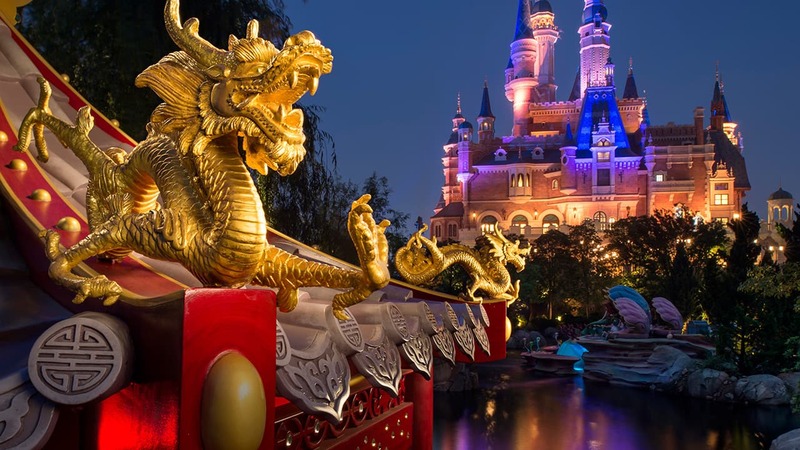 You may want to update fact number 4 as Indiana Jones et le Temple du Péril in Disneyland Paris was the first Disney attraction to take guests upside down. My favorite memory was when it was real working Motion Picture and Television Studio! As a fan of movies from the 30s and 40s, I will miss the Great Movie Ride and wish it had been updated rather than removed. However, I look forward to the many changes taking place in this park including Pixar Place, Mickey and Minnie’s Runaway Railway and Star Wars. It’s always fun to see what the imagineers will come up with next!